On April 4, 2019, the US Food and Drug Administration (FDA) expanded the indication of palbociclib (Ibrance; Pfizer), a kinase inhibitor, in combination with specific endocrine therapies for men with hormone receptor (HR)-positive, human epidermal growth factor receptor 2 (HER2)-negative advanced or metastatic breast cancer. This is the first hormonal-based therapy to be approved for men. On March 27, 2019, the US Food and Drug Administration (FDA) issued an alert from its Office of Women’s Health announcing that, after more than 20 years of regulatory oversight, the agency is proposing amendments to the existing policy governing mammography services. On March 13, 2017, the US Food and Drug Administration (FDA) approved ribociclib (Kisqali; Novartis), an oral CDK4/CDK6 inhibitor, in combination with letrozole for the treatment of postmenopausal women with HR-positive, HER2-negative advanced breast cancer. The authors present their findings from a study testing the effects of an early intervention by the Breast Cancer Navigator on distress. 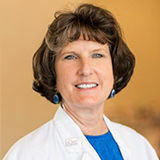 The updated guidelines from the National Comprehensive Cancer Network on the management of breast expand treatment options in HER2-positive disease to include extended adjuvant neratinib after completion of trastuzumab in patients with high risk of recurrence and recognize a third CDK 4/6 inhibitor in hormone-sensitive breast cancer. Recently Sellas Life Sciences Group announced data from a study of NeuVax (nelipepimut-S) in combination with Herceptin (trastuzumab) in patients with HER2 1+/2+ breast cancer. Metastatic breast cancer (MBC) or advanced breast cancer (ABC) signifies that cancer has spread to a distant organ site, either as a progression or a recurrence after a patient has first been diagnosed with an earlier stage of breast cancer. Alternatively, in the case of de novo MBC, MBC or ABC is staged as being metastatic or stage IV at diagnosis. Breast cancer is the most common cancer in women and remains a leading cause of cancer-related morbidity, mortality, and resource utilization. For patients with advanced breast cancer, prognosis remains especially suboptimal, primarily because of acquired pharmacologic resistance.